Until I decided to try the Paleo Pad Thai recipe from Melissa Joulwan's Well Fed: Paleo Recipes for People Who Love to Eat , I really hadn't thought about trying the recipe for Grilled Chicken Thighs. 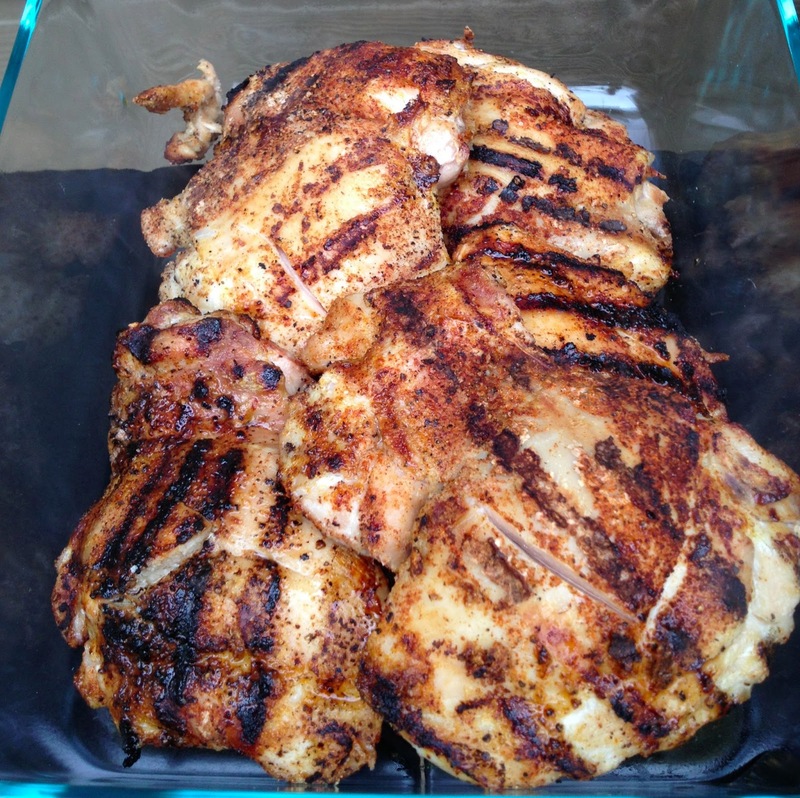 Grilling chicken thighs isn't difficult. When I looked at the picture in the book, I've always remarked at how awesome the chicken looks and the perfect grill lines. I know I had never been able to achieve such awesome grill lines and assumed that hers were the product of cooking several batches to get that perfect cookbook picture. Well, let's see about that! I'm going to include this recipe in my mega Paleo Pad Thai post, but as it's a recipe to be reviewed in its own right, here we go! I've not seen the recipe posted on the internet anywhere, so you'll have to buy the book for the exact recipe. Before I started preparing the chicken, I went outside to pre-heat the grill. I must say this is a step I sometimes skimp on. She recommends pre-heating the grill for a full 10 minutes. I turned the grill on high, set a timer and got to work on the chicken. 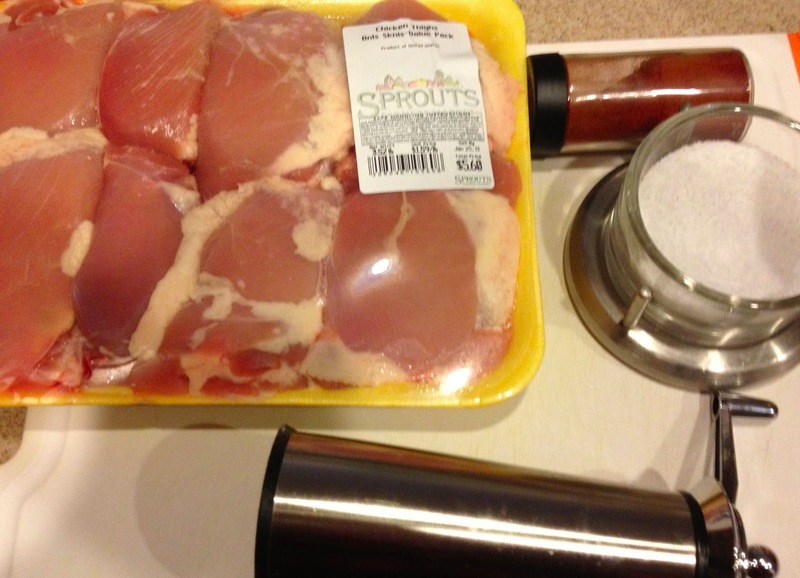 This isn't a step in the recipe, but very rarely have I purchased boneless skinless chicken thighs that haven't needed some extra fat trimmed off, so that's what I did first. Look at all that extra fat on the left! 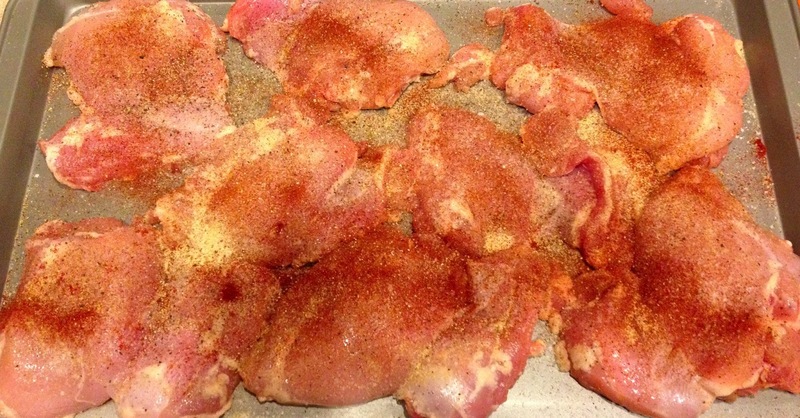 Next, I seasoned the chicken with salt, pepper, garlic powder and paprika on both sides in rimmed cookie sheet to control the mess. 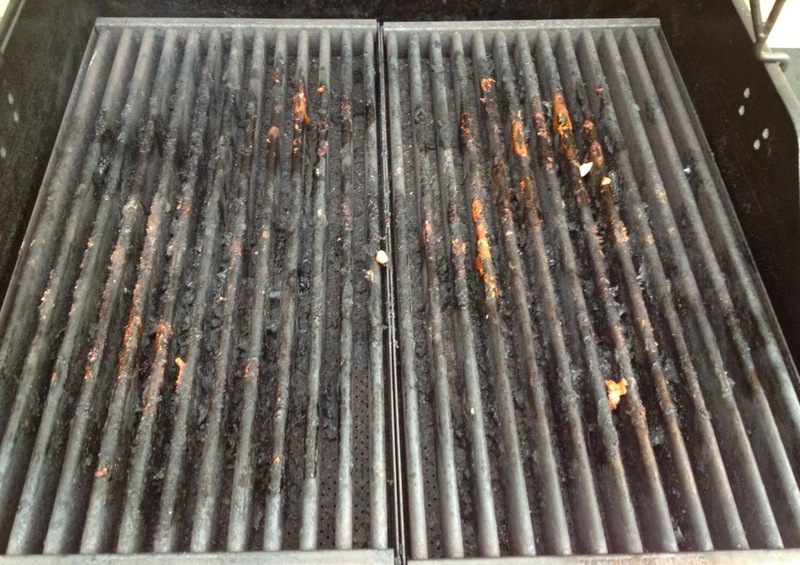 Before putting the chicken on the grill, I decided it would be a good idea to oil the grates. 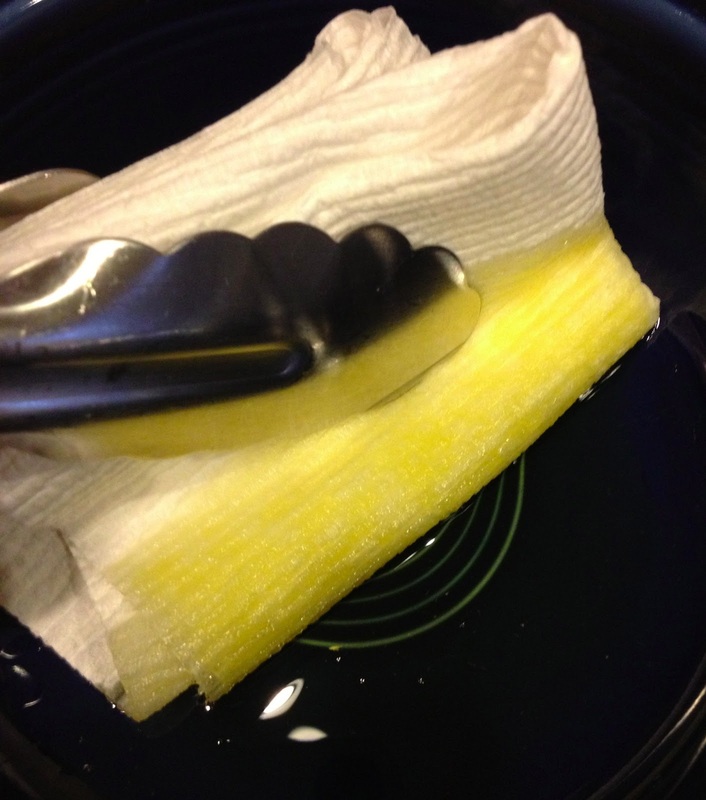 I put a little olive oil in a bowl and soaked a folded up paper towel that I held with tongs in it. 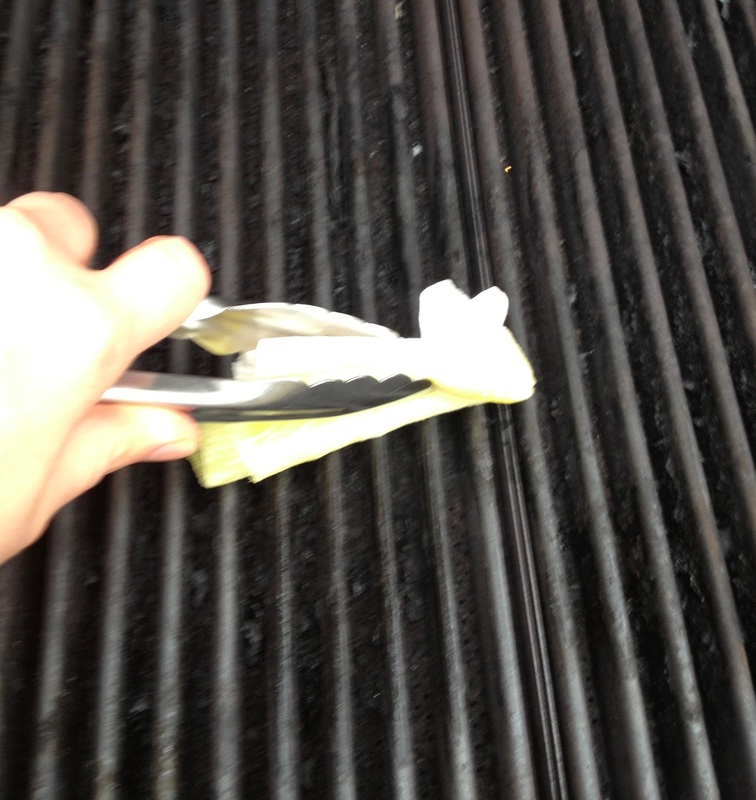 Being careful not to burn myself, I ran the olive oil soaked paper towel over the grill grates. 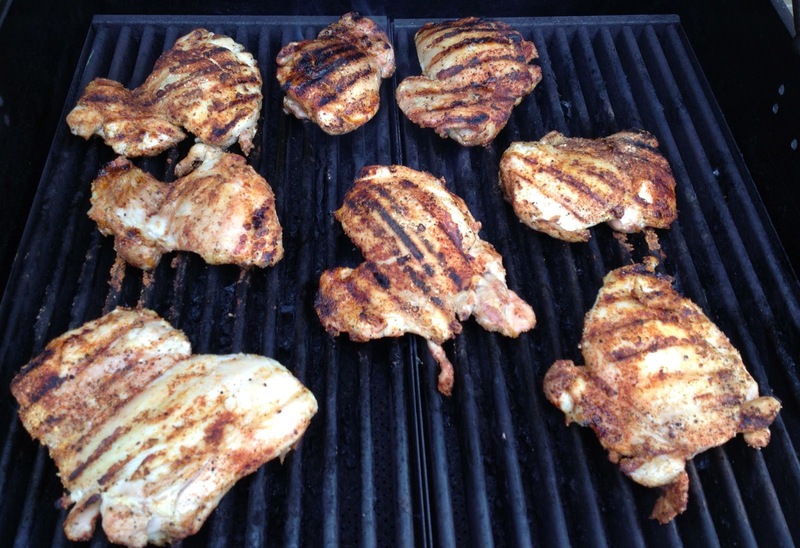 Once the grates were oiled, I put my chicken on the grill, closed the lid and set a timer for 5 minutes. After 5 minutes, I flipped the chicken. Look at those awesome grill marks! I set a timer for 4 additional minutes. 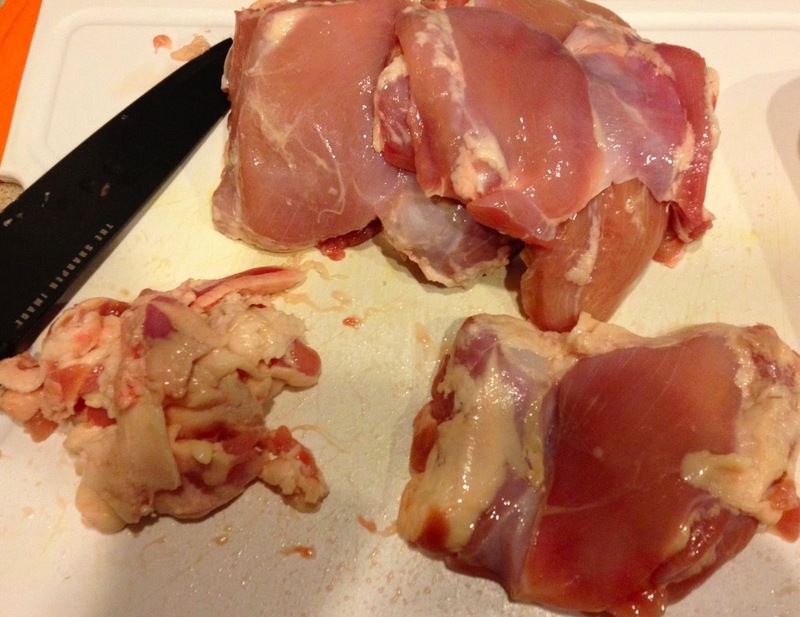 When the timer went off, I cut into a the chicken to make sure it was done. Here is where I learned something about cold and hot spots on my grill. A few pieces in the front needed a few more minutes. 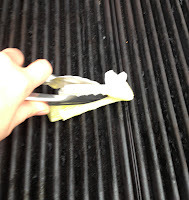 I removed the pieces that were done and moved those that were not to the rear of my grill, evidently the hotter part of my grill, for another 3 minutes. When all the chicken was done, I took a picture of the grill to show there really wasn't any sticking. While I'm talking about grilling, if you are in the market for a grill, I have had this one for about 3 years now and I can honestly say everything I have cooked on it has turned out awesome! It's small, but has more than enough room to grill enough meat for 4-5 people. Here's the chicken fresh off the grill. Accessibility and Cost of Ingredients: You should be able to find all of the ingredients for this recipe at your big box grocery store pretty inexpensively. Preparation and Cooking Time: The stated preparation time for this recipe is 5 minutes. 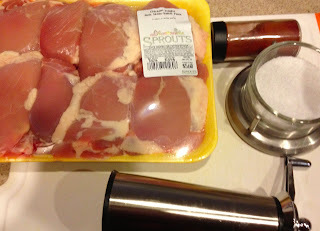 It took me about 15 minutes to prepare the chicken (cutting off extra fat and seasoning). The grill was pre-heating while I prepped the chicken. The stated cooking time is 10 minutes. It took me 12 minutes to get all 3.5 pounds of my chicken cooked. Clean Up: Everything that I used to prepare the chicken went into the dishwasher. If you haven't tried using a rimmed baking sheet when applying spices to meat, give it a try as it really does contain the spice mess. 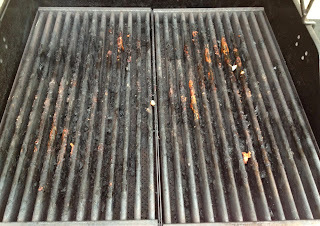 I kept my grill on for about 5 minutes after taking the chicken off and gave it a good scrubbing with my grill brush so it would be clean and ready to go for my next grilling session. The Paleo Review: Thumbs Up! Though I made these for the Paleo Pad Thai I was going to make later in the day, I tasted the chicken right off the grill and it was awesome! The chicken was juicy and flavorful. The either spices or the really hot grill must help with the grill marks because, I've never had results like this. If you don't have an outdoor grill or the weather isn't right for grilling, the book gives alternate cooking instructions. If you're looking for an easy recipe for making a tasty batch of protein, this is a solid recipe. Take a look at how I used them in the Paleo Pad Thai.